What is a Hunter Scooter? The Hunter Scooter ZH150 is Australia's first highly customisable, petrol powered 150cc scooter. Street legal, packed with plenty of personality and an aggressively wide 12inch 235mm rear tyre giving this twist and go scoots instant kerb appeal. With a 2000mm long wheel base, 650mm seat height, cruiser riding stance, combined with a surprisingly deep and throaty 90dB exhaust note/soundtrack (86dB with baffle insert) this street beast turns heads every ride. Guaranteed to add some serious fun to your daily commute, duck down to the beach for a quick dip, while avoiding traffic and parking congestion, grab a weekend coffee or just explore your surrounding environment for the pure enjoyment of reconnecting to the world around you in our increasingly disconnected world. Feel like a rockstar while reducing your carbon footprint. ** For more info read our article “Is it cheaper to own and run a scooter than a larger bike or a car?”. Owning a Hunter Scooter soon turns into a great hobby, due to its bare bone design offering easy access to all components you can spend hours tinkering, painting, vinyl wrapping and customising your Hunter in your own garage or shed. With a myriad of aftermarket options this could be a life-changing purchase that will allow you to express your individuality and stand out from the pack in a generic, mass produced world. Want to play around with your scoots? Even if you don't have a garage but want to play around with your scoots, there are shared workshops where you can go and use their tools or mechanics that offer modifications Rising Sun Workshop is a great place to learn and play with you ride. From adding bar end mirrors, changing the handlebars, balancing wheels, changing headlight or taillights to swapping carbs or upgrading to a sports CVT! Rising Sun is a great place to start. For those looking to go a little more wild like a ground up build, this scoots allows you to create your own personalised rock star ride. We have combined a list of suppliers, online stores to buy parts and mods. We love it when our tribe of riders post pics of their creations, if you want to be featured in one of our photoshoots, or have your beast posted on our socials, shout out or tag your images with #huntedscooters or #hunterscooters. 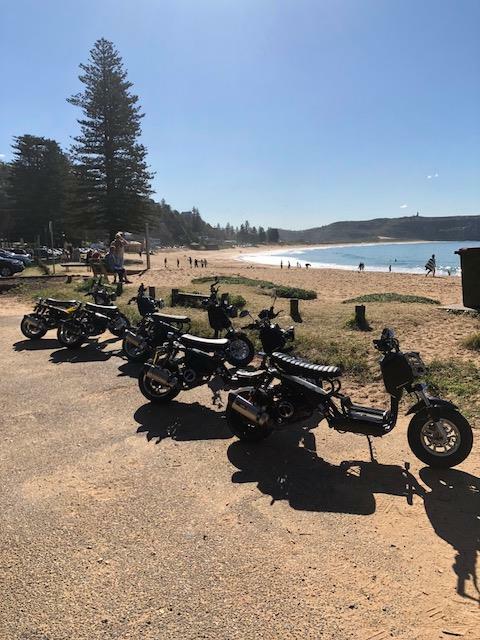 Join the fun of riding together, our regular Sydney group rides are a great way to enjoy your beast outside the day to day, learn more, find out firsthand how customisable your scooter can be and ask as many questions of where these riders have found their parts and mods. All our events are posted on the Facebook page Hunted Scooters or @Huntedscooters on insta, meet other like minded individuals and enjoy well planned scenic rides that will hopefully increase the thrill and enjoyment of owning and riding a Hunter Scooter. 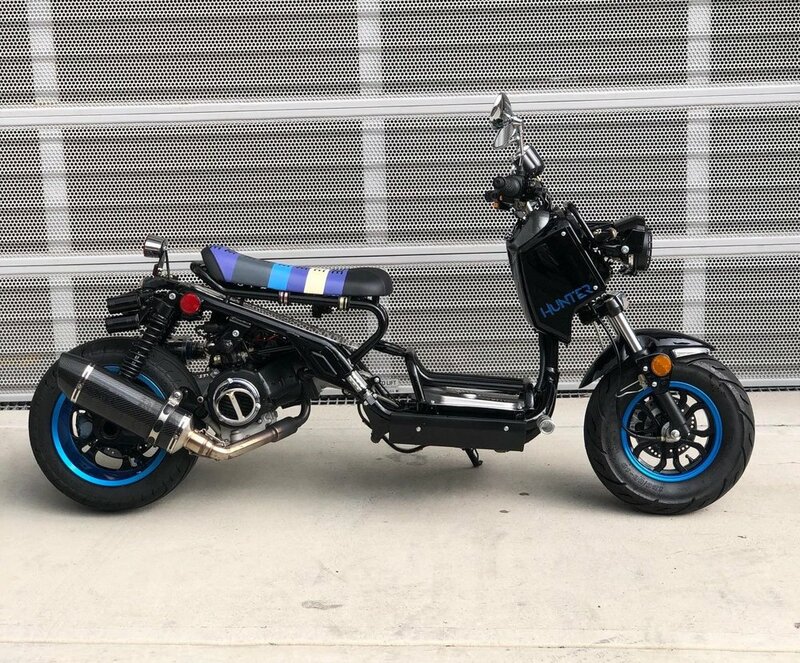 If you have any questions, wish to book a test ride or just want to learn more about Australia’s first long, low, loud, phat and highly customisable scooter then drop us a line. But before you go… check out some recent builds below to inspire and to look out for. Yes you heard right, a Sydney Winter Ride! Riders of varying small street beasts from far and near braved the coldest Sydney weekend temps of the year for our oxymoronic winter beach ride .. Following the success, hilarity and entertainment brought on from our last two group rides and filled with a mix high octane fuel (most of us) along with a good dose of adrenaline and spirit, we did it once again last Sunday, with the largest turn out to date, thanks largely to our adoptive, supportive and inclusive friends from the Hunter community and the other ‘small bike’ world of the Honda Groms (insert shameless shout out…. HERE) namely SydneyGromSquad and Gromzunited, Thanks Team. The meet up point: Mrs Macquarie’s Chair, Sunday 10am. Fresh clear skies and even fresher temps! Everyone was impressively timely, considering some of the distances travelled prior to arrival at our meet up location. 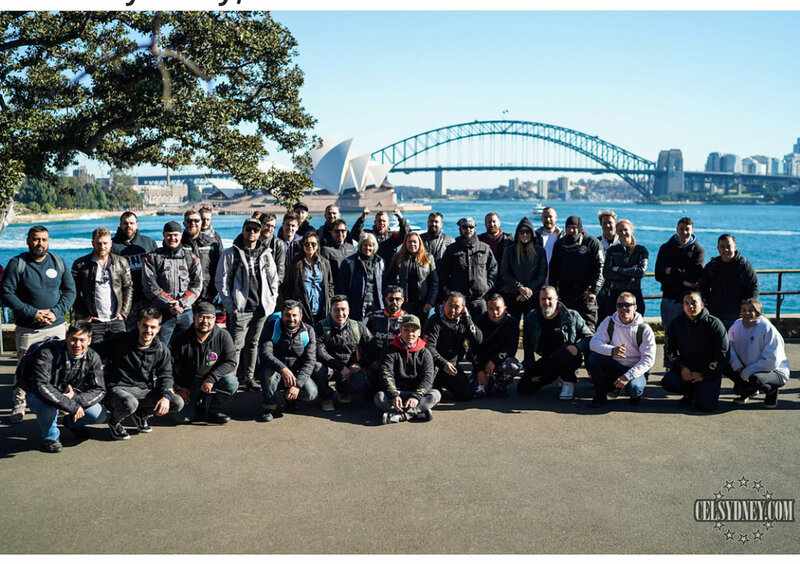 With a starting group of 50 riders, we took to the obligatory tour group photos in front of the most iconic harbour backdrop in the world (Thanks Sydney for putting on the show). After getting the friendliest nod from the Federal police presence at "the chair", our ride began.. Armed this time with a few tasty give away treats for the first rider’s raffle and the largest group assembled so far. AWESOME WORK TEAM!! We rode the Sydney city streets, The Harbour and Spit bridges northward on through the forest lined Wakehurst Pkwy on mass, to the world famous Summer Bay! With a glance to the side of the pack every now and then, the onlookers were waving, most in dismay at what was unfolding in front of them, some filming on their mobile phones what essentially was, lots of big kids, riding fast little bikes, having the time of their lives! When we all finally arrived through the hairpins and winding suburban streets at Palm Beach (Summer Bay) car park the drone was launched (thanks Tom), the rides were lined up and the raffle was drawn! The lucky recipient of the 12 bar! better than winning the world cup! T-shirts, hoodies, a 12 bar among the many laughs had! If you are keen to join the next ride please keep your eyes on our facebook or instagram page Huntedscooters. The next ride will be 23rd September 2018, with more ride details and raffle prizes released closer to the date. Please also note: We welcome all riders and rides, We always adhere to the state laws, speed limits, always ride in a courteous manner within the road rules and guidelines and most importantly always state to all riders, from our many learners to our most experienced riders to ride to their own abilities, this is to ensure every rider enjoys the ride and gets home safely. These are community based rides for leisure, pleasure and to put a smile on your dial! They do not happen without your participation, We look forward to seeing all Sydney based riders on the next ride and hope this can become a permanent fixture in your quarterly calendars for 2019 and beyond. Gotta Love a Sydney Winter's day! We are pleased to announce the delivery of our third series. * Shadow Chrome upgraded rear shocks.